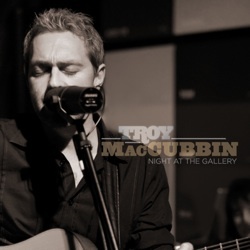 Troy MacCubbin‘s new live album, entitled A Night at the Gallery, has just been released. 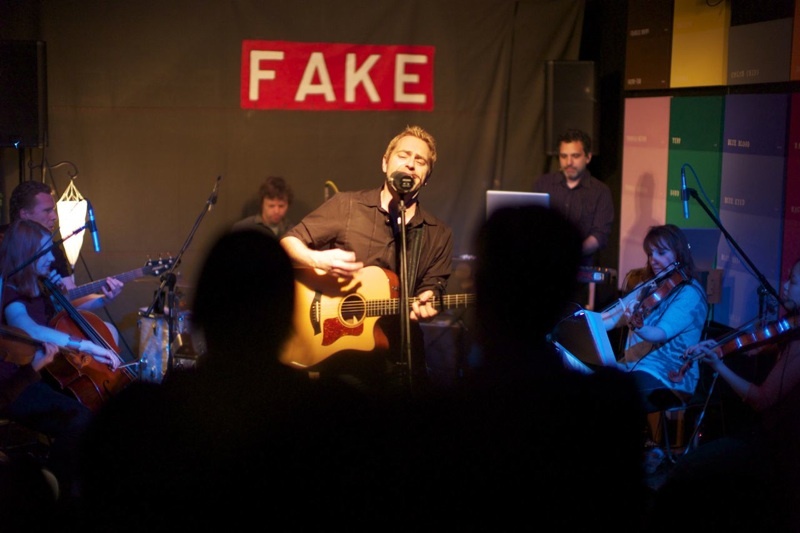 This was a live recording of two concerts I did in Los Angeles with Troy in April 2011. As well as arranging the strings, playing keyboards, and MD’ing the band (detailed in a previous article here), I also produced and mixed this live album for Troy, and we’re all extremely excited to finally see its release commemorating these two very special nights of music. The album is available for download on both iTunes and Amazon, and will soon be available for physical purchase too. Troy is a singer/songwriter and professional guitarist (T.A.T.U., Wilson Phillips, etc.) 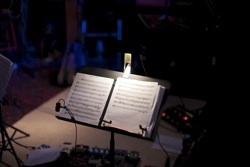 The two concerts took place on back-to-back nights on April 5-6, 2011. Both concerts were fairly similar, and both were recorded in multitrack, which made the process of producing the live album much easier, as there was a lot of material to choose from. 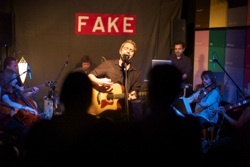 We had a wonderful band, including Danish drummer Jesper Kristensen, bassist Al Slavick, and the string quartet Thread. This is the first live concert I’ve ever had the opportunity to mix, and it required a very different approach than regular studio mixing, with the emphasis not so much on every musical detail fitting in perfectly, but more in capturing the vibe, ambience, and spontaneity of the live music. The string quartet was a challenge to blend, because its overhead mics ended up capturing too much room ambience and not enough strings, so we had to rely mostly on the direct pickups from the strings (which produce a dry, direct sound, without any blend from the other instruments). The finished album was mastered in high-definition (24-bit, 96kHz). We’re currently looking into distribution possibilities for the high resolution audio as well as considering a possible surround mix of the concert. Click here to download the liner notes to the album as a PDF. Preview or purchase the entire album at iTunes and Amazon MP3 and also as an audio CD at Amazon.